The interior is inspired by many cultures and styles. Spanish and oriental influences are combined with Asian inspiration. 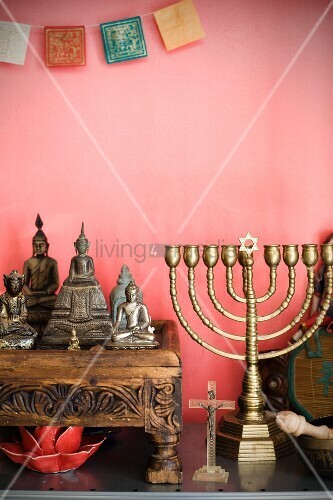 The owners, who are interested in Buddhism and yoga, have added surprise elements like Tibetan flags to their eclectic décor.